Situated at the foot of the Sperrin Mountains outside Omagh in County Tyrone, The Ulster American Folk Park is an open-air history museum which tells the story of hundreds of thousands of emigrants who left Ireland for America in the 18th and 19th Centuries. Opened to the public in 1976, the museum is funded by the Department for Culture, Arts, and Leisure, and amalgamated with the Ulster Museum, the Ulster Folk and Transport Museum and Armagh Museum in 1998 to become part of the National Museums and Galleries of Northern Ireland (MAGNI). The Ulster American Folk Park currently employs 88 staff. The UAFP comprises both indoor and open-air exhibits, set on an eight-acre site. In the main indoor gallery, a major exhibition “Emigrants” explores reasons for leaving, opportunities in a new land, and tells of famous emigrants. The open-air museum is laid out in two main areas – the Old World and the New World, depicting emigrant life on both sides of the Atlantic, linked by a full-size replica of an emigrant ship. The outdoor museum consists of over 26 exhibit buildings, the vast majority being original structures, reflecting the vernacular traditions of both rural Ulster and frontier America. Each building is furnished and equipped with original and replica domestic objects and farming implements of the period. Costumed interpreters bring the past to life by providing working demonstrations in many of the exhibits with visitors having the opportunity to watch various farming activities and crafts such as thatching, blacksmithing, wheelwrighting, needlework and open hearth cookery. Ancestral journeys across the great divide are explored every day, and the curatorial staff of the UAFP, along with the Centre for Migration Studies, carefully chronicle each step. In high humidity conditions insects and molds thrive and reproduce, metals corrode, dyes and textiles fade and deteriorate more quickly. Organic materials such as wood and leather swell or change shape, and gelatine emulsions and adhesives become sticky. 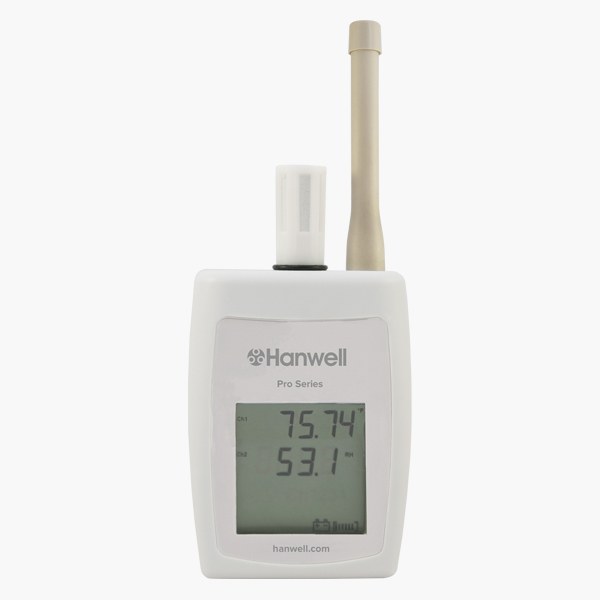 Monitoring humidity is the best option to avoid these damaging effects. Approximately one-third of the collection is on open display in the outdoor museum and incased exhibits in the indoor galleries. Rooms above the street exhibits have been converted into storage areas for textiles and domestic miscellanea, supplemented by a purpose-built store for furniture and larger agricultural objects. Set on a huge site full of diverse, fragile objects, each with their own preservation criteria and, with over 130,000 visitors each year, an enormous responsibility lay ahead for the management team when deciding upon a suitable environmental control system. Previously, environmental monitoring and control had been addressed on an ad hoc basis. Many of the historic buildings were heated using only turf or log fires in order to retain authenticity but these tend to be ineffective forms of heating and it was impossible to maintain constant environmental conditions. Electrical heating systems were located in some of the early buildings but many of these older installations were either not functioning or inappropriate for the type of control required. Several hair thermo hygrographs were used for environmental monitoring with a digital thermo hygrograph for spot readings but, again, this was far from ideal. Clearly, a more informed direction was required if the UAFP was to sustain its status and progress. In 2000, Fiona Casey of the UAFP curatorial department undertook the task of evaluating a number of instrumentation firms and how their particular products would safeguard UAFP exhibits. 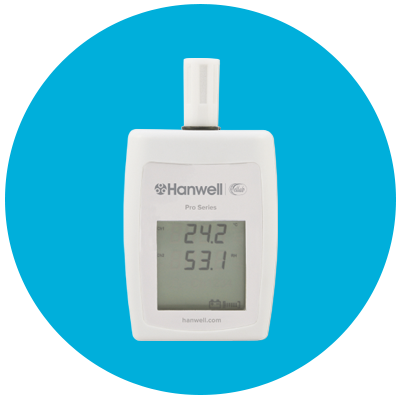 Hanwell Pro products were chosen as the best solution to fulfill their exact needs. Located in one of the wetter parts of Northern Ireland, our main problem with the museum environment was keeping relative humidity levels low enough to avoid damage to the collection. In the particularly damp winter of 2000 we sought advice from our MAGNI counterpart in Belfast, the Ulster Folk and Transport Museum (UFTM) as to a more structured approach. Immediately, they loaned us six additional thermo hygrographs and a Hanwell Pro humidistat for use in one of our exhibit buildings. Connected to an electric heater already in situ, results from use of the humidistat were impressive, proving that it was possible to achieve acceptable environmental conditions with minimal disturbance. We began work with Bob Hayes of Colebrooke Consulting who drew up a report on environmental monitoring and control throughout the UAFP. This report provided a clear strategy as to how to proceed and assisted management in securing relevant funding for acquiring a comprehensive monitoring system. This was key in endorsing our institution-specific practices and procedures, adhering to best practice guidelines for care of collections and MA and ICOM Codes of Ethics. Each section of the report illustrated the need for changes in our environmental structure. We were able to show that implementation would enable the UAFP to move forward and facilitate more appropriate collection care standards. Although we considered a number of other suppliers with similar specifications, Hanwell proved to be superior at all levels, and at considerably lower cost. Furthermore, it was beneficial to retain uniformity of process in all the MAGNI sites and, as we had already established the effectiveness and reliability of Hanwell products at the UFTM, the decision was unanimous. In August 2001, we undertook the installation of 43 radio telemetry sensors monitoring relative humidity and temperature throughout the galleries, outdoor museum and storage areas at a cost of $20,000. The Hanwell Pro equipment works on 433MHz narrow band radio, with exceptional range and freedom from interference, which was of paramount importance for the UAFP given the large museum site. This stage of installation took under 2 weeks to complete without hindrance to visitors. There was a significant improvement in a very short space of time. Unlike thermo hygrographs which have to be checked at least monthly, the only maintenance required for sensors is a yearly battery change and calibration. Data is more easily viewed, compared and utilized. We could instantly monitor the RH levels and balance the environmental conditions for the displays, even demonstrating that particular exhibits had deteriorated substantially without the appropriate control equipment. In January 2002, $17,000 became available to proceed with purchasing and installing environmental control equipment, but it had to be committed before the end of March 2002. Having monitored the entire site for a six-month period and equipped with evidence of consequential damage, particularly from the high RH levels, we were ready to proceed. We had established that the cost of air conditioning in our main gallery would be too expensive to install, run and maintain, and the vernacular nature of most of our buildings in the open-air museum limited the scope for improvement methods. An automated conservation heating system was the best choice with minimal user intervention and maintenance, working with the climate instead of against it. As well as providing appropriate relative humidity levels for the collection, the system is programmable to allow for comfort heating for staff and visitors. We worked closely with Bob Hayes and the principal designer of Hanwell, Dr Martin Hancock, in the design of a radio-telemetry conservation heating system to cover the site. In May 2002, we began the positioning of the radio receivers, switching units and relays to control 40 heating zones. Our in-house maintenance team is currently completing some cabling work to the street exhibits but we have already experienced a great improvement in the environmental conditions and comfort in the main exhibition and ship gallery areas. Importantly, conditions in the main gallery now meet climate control conditions specified under the Government Indemnity Scheme to cover loans to the museum. However, in the less well buffered vernacular buildings, we have found that dehumidification by heating is ineffective on warmer, humid summer days, especially when temperatures reach over 72°F, as the system cuts out at this temperature to avoid human discomfort. Conversely, in winter, we expect a temperature rise of only a few degrees F above outside temperature to be sufficient to bring RH down to an acceptable level. In our climate, this will only be for several days per year. The Ulster American Folk Park continues to expand and educate, affirming the heritage and descent of a, now, global community. With over 50 million people worldwide now claiming Irish ancestry, the implementation of this system will afford better preservation of their past. The Ulster American Folk Park is located in wetter parts of Northern Ireland, the challenge was to keep relative humidity levels low enough to avoid damage to the collection. The open-air museum is laid out in two main areas. The Old World and the new world. The outdoor museum consists of 26 exhibit buildings. Farming activities and crafts such as thatching, blacksmithing, wheelwrighting, needlework and open heath cookery. Installation of 43 radio telemetry sensors monitoring relative humidity and temperature throughout the galleries.